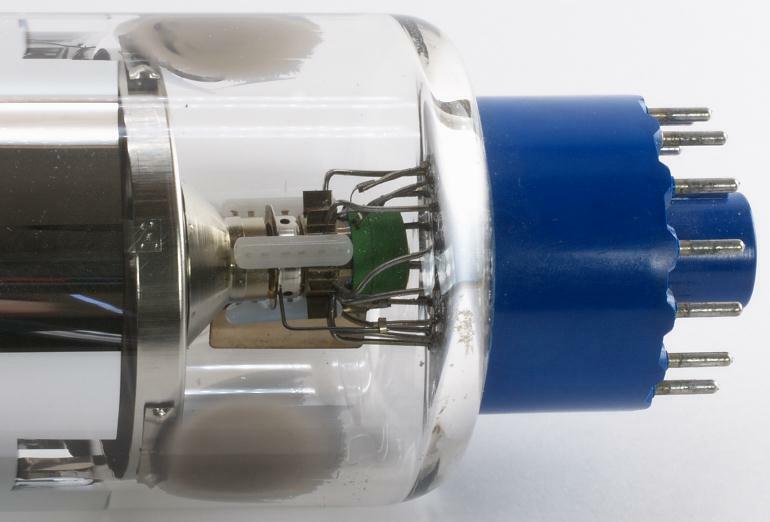 This image tube was designed and utilized in the mid-to-late 1970s for electronic imaging capabilities for space telescope applications, notably for the Hubble Space Telescope. Its large target allows a wide viewing angle with excellent resolution and little distortion, as the tube is magnetically focussed. The target is able to store information over several days and with proper cooling integration of weak light signals is possible over several hours. A sequential writing - reading slow scan mode is suggested for most effective application. The window is transmissive far into the vacuum UV-spectrum. 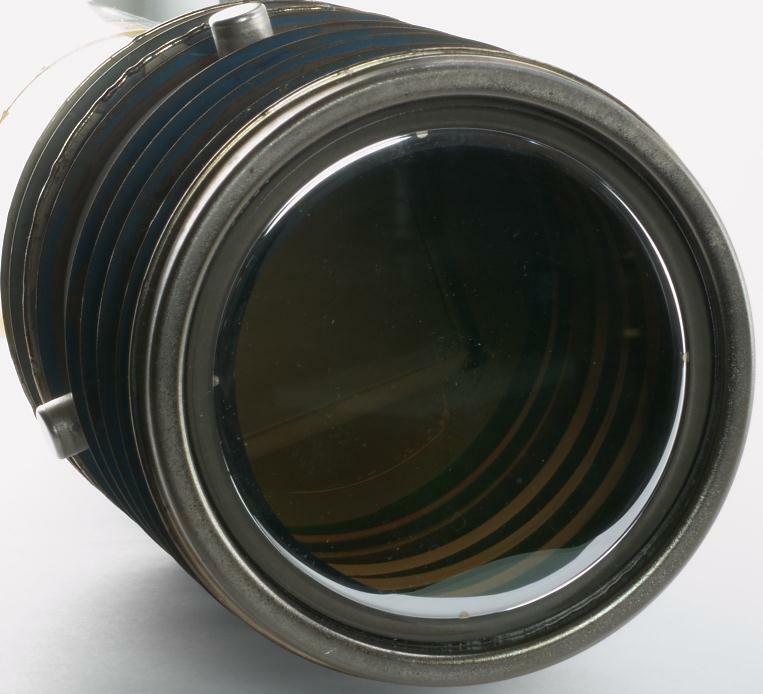 Zooming with a fourfold magnification has been successfully demonstrated employing a magnetic lens in front of the image section. The tube construction is ruggedized to withstand the shock and vibration requirements of rocket launch. Hauteur • Height • Höhe : 48 cm • 1' - 6 9/10"